The Museum’s latest exhibition is Healdsburg’s Architectural Heritage. The exhibition presents the evolution of local architecture from the adobe dwellings and pioneer cabins of the Rancho era to the more contemporary styles. 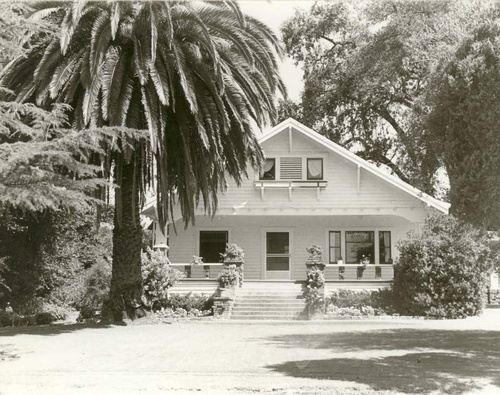 Healdsburg’s residential development has included Greek Revival, Gothic Revival, Italianate, Queen Anne, Craftsman, and Neoclassic buildings, many of which still survive today. Scale models of architectural styles, built by talented woodworker Jon Lacaillade, are displayed along with historic and current photographs. Also featured are some of Healdsburg's notable lost buildings, particularly our lost gem, the City Hall built in 1886. For more than 20 years, the Healdsburg Museum and Historical Society has honored many deserving local buildings with Historic Preservation Awards. The exhibition highlights these historic architectural treasures, and the defining elements that characterize them. The exhibition runs to November 11, 2018. Wednesday, Thursday, Friday, Saturday, and Sunday. Exhibit runs through November 11th.